We know you strive to give your customers a comfortable and friendly atmosphere. 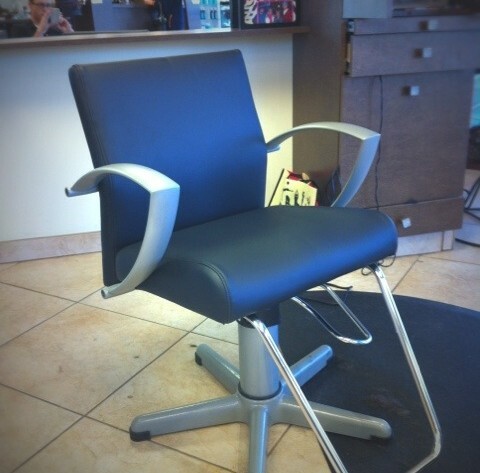 Over time the chemicals used in salons can reek havoc on salon chair upholstery. Eventually the vinyl seat covers end up cracked and torn. Originally Robin, the owner of Salon at the Village, only wanted us to do a few seats. 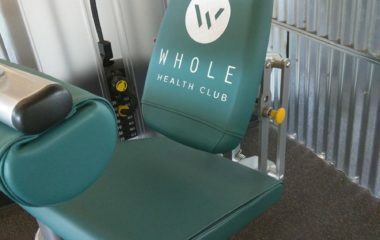 However, once she saw our work she requested we completely recover all the pump chairs in her salon. It’s said that every night ends with a beautiful sunrise. 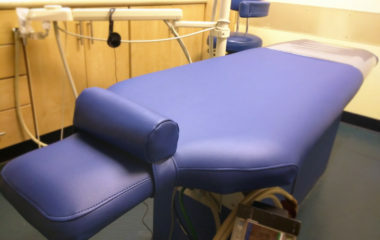 Our upholstery service can take the damaged and grimy pads and have your salon shining again in no time! 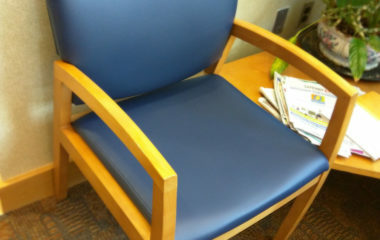 What can I expect with salon chair upholstery service? 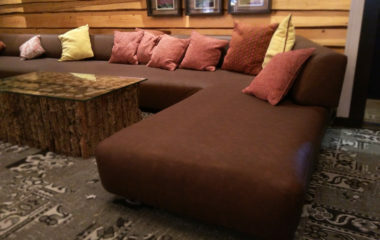 We prefer to get our customers an estimate so we can be sure of the the seats in need of service and the time required. We’ll schedule with you for the best time for your business. We arrive promptly and are sure to park our truck out of the way. We then purposely, and as quietly as possible, dismantled a few chairs at a time. We’re always careful to ensure that we leave no mess or hazard inside your business. Once back inside the truck we remove all the staples and the old damaged cover. 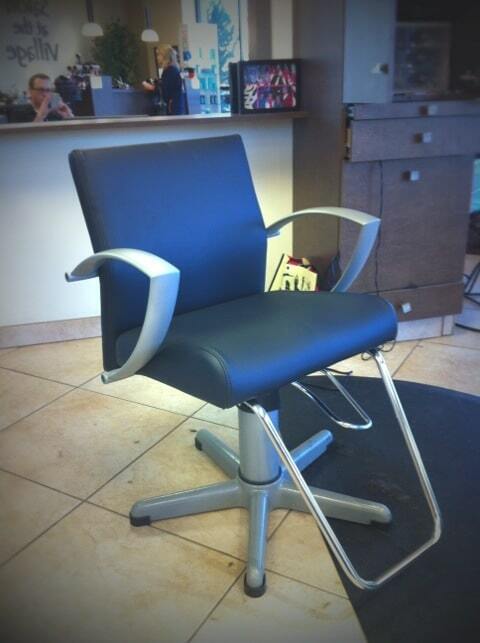 Aesthetics is such an important aspect of salon chair upholstery. Each unique piece is custom patterned to ensure a beautiful and snug fit. A cover that fits properly will last much longer than one that is the wrong size. We use a top quality bonded thread with excellent resistances to bleach, mildew, heat and sunlight. We even focus on folding and and stapling down the vinyl in specific ways that reduce long term wear. When we’ve completed those seats we return inside and discretely reinstall them before moving on to the next set. We work diligently until we’ve completed the service in it’s entirety. Your enthusiastic satisfaction is our success. A professional flat black in BoltaSport Olympus which is a high durability solution. On this job we completed twenty salon pump chair seats and back in just over nine hours. Our mobile solution provides the ultimate in quality and the ultimate in convenience for all your salon chair upholstery needs.